The National Geographic's Ocean Education Program aims to engage and collaborate with the marine recreation community with a shared goal of raising public awareness about ocean conservation and inspiring people to help protect the vital natural resources that the ocean provides. National Geographic, with the support of Oracle, created workshops for the ocean recreation community to share current marine science and conservation science and to discuss how the ocean recreation community can educate, motivate, and inspire the public to be stewards of the ocean in order to ensure the future of ocean recreation. This toolkit page will aid educators and ocean organizations in planning and delivering their own workshop for the marine recreation community. National Geographic Education created and hosted one-day workshops for members of the marine recreation community, including wildlife watching operators, sport fishermen, scuba professionals, lifeguards, surf instructors, kayak guides, park rangers, and ocean educators. The workshops were held in Miami, Florida; Monterey Bay, California; San Diego, California; and Galveston, Texas. This planning guide offers tips and program suggestions for other organizations to create their own workshop for the marine recreation community. Recruiting members of the marine recreation community to attend the workshop is key! We sent invitations via e-mail and Facebook, and visited the organizations face to face to share the program. Take a look at our sample invitation, and you can fill in your own event's information in the blank invitation template. At our in-person workshops, a variety of experts spoke on local conservation issues, ocean species, and ocean science, and we ended the day with a communication strategies session. The samples here will help you organize your own lineup of speakers and topics, as well as clearly define the workshop goals and objectives. A successful workshop leverages local community members, including local experts and scientists from universities, government agencies, and ocean organizations. These links and handouts offer scientists techniques and strategies for communicating to the public, and offer tips on effective PowerPoint usage. The program facilitator organizes the workshop and handles group discussion and dynamics. These handouts will help you plan and communicate effectively with fellow staff and participants. Your workshop will feature regional content created by the host staff (you) and the experts you recruit. We created two PowerPoints, with scripts, to help you develop your presentations based on the two main science themes that the National Geographic Ocean Initiative promotes—increasing global Marine Protected Areas and promoting sustainable seafood. We also created a PowerPoint to help you lead the discussion on crafting ocean conservation messages to share with the public. Media can grab your audience’s attention while communicating important information. These two videos were part of our workshop introduction and conclusion. “Why the Ocean Matters” explains why we should care about the ocean and what it provides us in our daily life. “How to Care for the Ocean” can conclude the workshop with a reminder about the part we play in ocean conservation and what we each can do to promote ocean health. The primary purpose of the workshop is to encourage the marine recreation providers in attendance to promote conservation activities among the public they engage. Many organizations provide handouts to help teach the public about their role in ocean conservation. This handout can be used by the marine recreation community to distribute to the public or as a discussion piece. 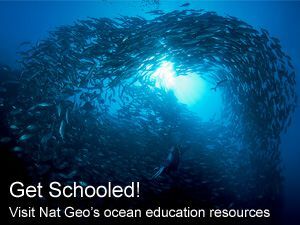 Bring engaging and important ocean learning to your classroom. When you eat seafood, what impact are you having on the ocean? These links provide resources in responsible wildlife viewing, best practices, and responsible scuba diving, as well as ways to learn more about ocean conservation. All of these websites contain downloadable handouts with tips and programs for recreation providers, and ocean information and new media for the general public. Project AWARE focuses on scuba divers and snorkelers and offers resources on sharks, coral reefs, and responsible diving. 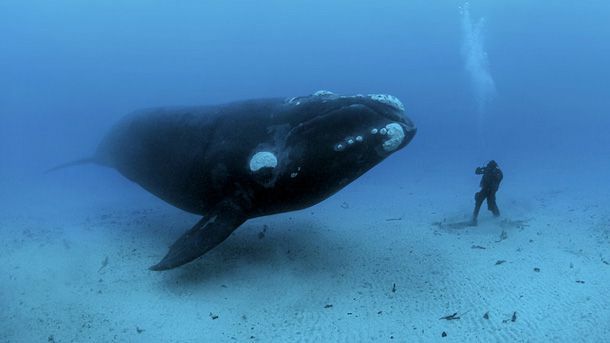 Watch this video to learn small steps that have a big impact on the well-being of our oceans.